Cookies, who loves cookies? They really are a great all round snackeroo. 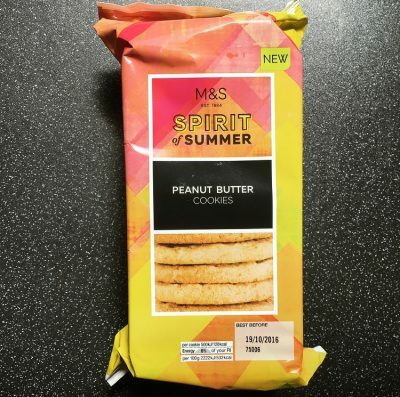 We had the M&S Peanut Butter Cookies earlier this week and today is the turn of the M&S Tropical Fruit, Nuts & Dark Chocolate Chunk Cookies. Again these are a new addition and part of their Spirit of Summer Range and with all their fruitiness they certainly emulate summer. Unfortunately they have the same inner plastic tray that the Peanut Butter Cookies have and I have the same thoughts and feelings over it. Not to dwell on the naffness of the tray lets get to the important part.. the eating. All butter cookies with tropical fruits, brazil nuts, pecan nuts, coconut and dark chocolate chunks. Now that is a cookie. It’s thick, it’s chunky, it’s a reasonable size and it smells like the tropics. I do love a cookie with chunks of chocolate in, there really is no other way to have chocolate in a cookie. The dark chocolate was slightly bitter yet creamy and certainly the right choice of chocolate here. The addition of nuts, although not overly distinct in taste, provided an extra crunch factor to the already crunchy buttery cookie. The fruit pieces varied in size and were chewy with mostly pineapple hitting the tastebuds and a hint of coconut here and there. The quality is certainly there with this cookie and all the flavours tasted as they should with not even a hint of a synthetic taste. 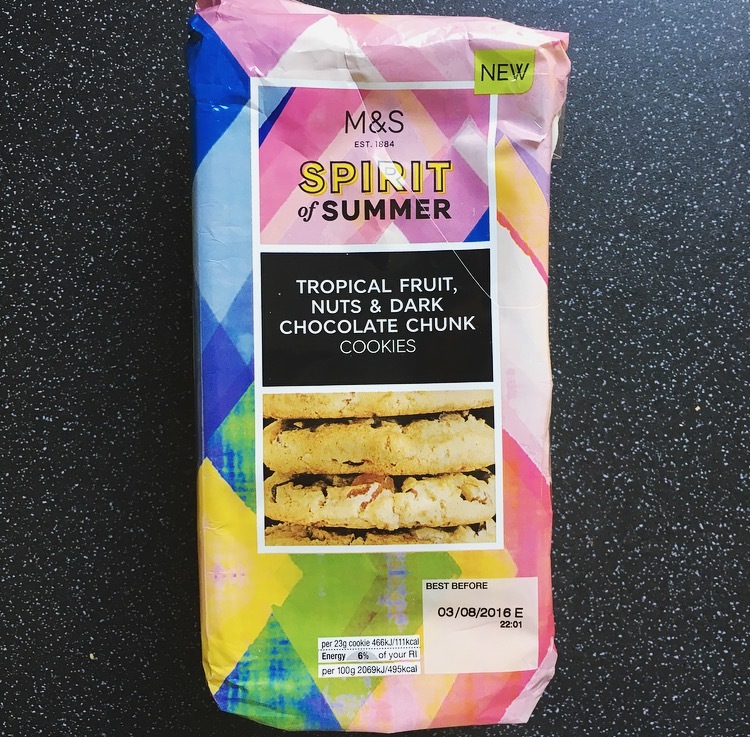 As a whole these M&S Tropical Fruit, Nuts & Dark Chocolate Chunk Cookies flavour wise shouldn’t work but they absolutely do. 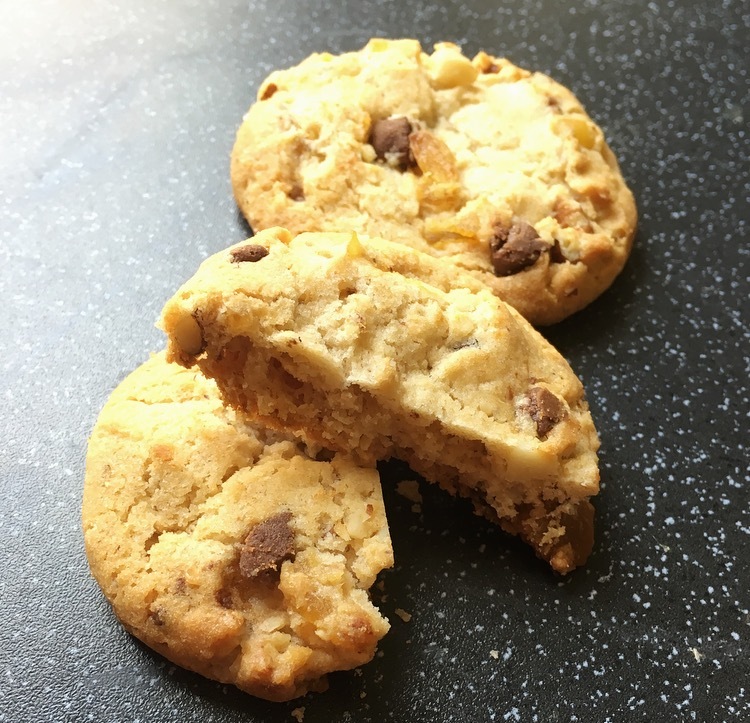 They are fresh and fruity, are completely different to what you traditionally expect in a cookie and are super scrummy. They are literally sunshine in a cookie and I love them! 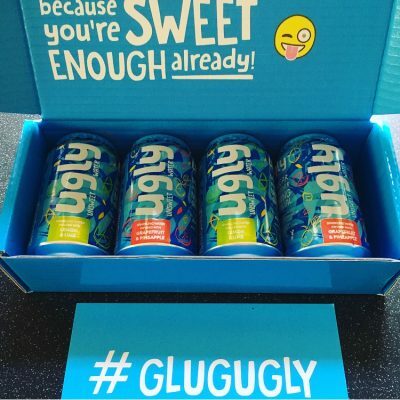 Certainly a must try, so if you spot them pop them in your basket. I can only hope that these are not a limited edition but I fear that they are only here for summer! I actually designed this recipe for M&S – I’m really glad you liked them, it took lots of hard work to get the recipe where I wanted it! Enjoy!